They all have chemistry degrees! You can do anything with a chemistry degree! Chemists make new materials, create revolutionary drugs, develop sensors for the Mars Rover, and are working on solutions to our most pressing issues – alternative energy, biodegradable plastics, pollution control, climate change, on-the-spot disease diagnosis, solar energy conversion, and curing cancer. A degree in chemistry will teach you to think about and analyze the world around you. And, importantly, a chemistry degree opens the door to a variety of career options. Where can I work with a chemistry degree? Despite what you might think, you don't need a biology or biochemistry degree to get into medical school. Intellectual property law is a unique field of law relating to inventions, designs and discoveries. Because of their knowledge and training, lawyers with scientific backgrounds are in demand for this field. Some companies and law firms even pay chemistry graduates to attend law school. From composite resins used to fill cavities to fluoride rinses, dentists apply their knowledge of chemistry daily. A BSc degree in chemistry can provide background knowledge necessary for dentistry, and satisfies the minimum credit requirement for entry into dental school. 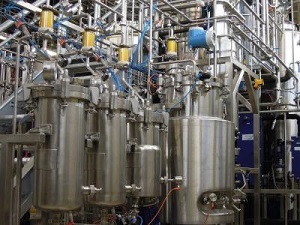 Many industries and organizations need chemists: chemicals, oil, paint, pharmaceuticals, food additives, analysis companies, agrichemical, mining, energy, battery, defense, breweries, health agencies, and other companies. The team training that students learn through a chemistry program help them to thrive in companies and government organizations. 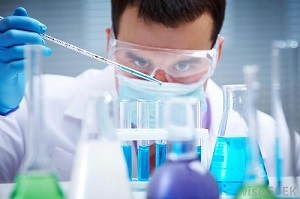 A diverse range of enjoyable and employable career options exist for chemists. Below is a coarse grouping of companies and organizations, both national and international, that have hired our graduates within the industrial and government sectors. Cameco Corp., Chevron Canada Ltd., Cominco Ltd., Exxon Mobil, Schlumberger, Sunoco Co.
Chemistry students in the Co-operative Education (Co-op) program may have the opportunity for paid work experience at many of these companies. The field of chemistry thrives on the invention of new chemicals, materials, and processes. New discoveries lead to breakthroughs that form the basis of new industries. Many chemists are born entrepreneurs and inventors, while others develop these skills through their BSc degree. Why not combine your chemistry degree with an MBA? Some of our graduates now teach in elementary and high schools. Chemists are in demand as their broad skill set means that they can teach most science and math courses. A degree in chemistry can help open the door to teaching opportunities in both public and private schools. Our chemistry program prepares students well to communicate science through presentations and other media. Our graduates are employed by CBC, Chemical & Engineering News, Science World, in science outreach positions at universities, and at other organizations across the globe. During a chemistry program, students learn a bit of math, physics, biology, and biochemistry that enables them to communicate with the public on a wide variety of topics. A degree in chemistry can open the door to various outreach and media opportunities. MSc and PhD degrees open the door to the career paths above, plus professorships and teaching at colleges. Many companies hire MSc and PhD graduates, especially to take on leadership and supervisory roles within their organization. These degrees open new opportunities for career advancement in industry, and also help graduates obtain jobs in other fields, such as medical technicians and government labs. A BSc degree in chemistry is a great way to get into graduate school. Chemistry offers an exciting assortment of intellectual adventures and opportunities! Professional chemists work in industry, government labs, clinical laboratories, colleges, universities, schools, and other workplaces. Generally, chemists are paid well (see the ACS Salary Survey). Although chemistry can be divided into a number of branches (organic, analytical, physical, inorganic, etc.) chemistry undergraduates at UBC are not required to specialize. Our program not only teaches you the core chemistry you will need, but it also emphasizes communication skills through writing and presentations. Additional optional courses in economics, languages, computer science, and other fields can strengthen your knowledge and give you an edge in the job market. We offer many different programs to meet your interests and needs. To learn more about majors vs. honours, co-op, combined programs, and specializations, see Programs. After receiving a bachelor's degree, some students begin graduate work and may obtain a master's degree in 1-2 years or a doctoral degree in 4-5 years. These graduate degrees provide advanced training and independent research on the frontiers of science. Chemistry is often referred to as “the central science” because of its intimate connections with biology, physics, and math. 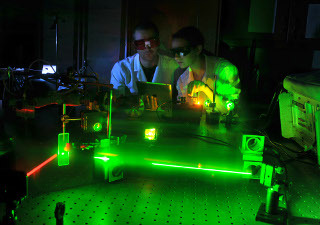 It is also the cornerstone of understanding in biochemistry, environmental science, earth science, and other fields. After all, everything around us is made of chemicals! Explore the universe, start a company, become a doctor or pharmacist, teach the next generation of scientists, play with cutting-edge laser spectrometers, discover new elements and more with a chemistry degree. The skills you learn in chemistry are transferrable to just about anything – even becoming the Chancellor of Germany or the Pope. UBC Career Services subscribes to a very useful resource at Career Cruising (careercruising.com) that allows students to navigate through different careers. It provides the types of degrees and educational level necessary for various careers, as well as salary expectations and job descriptions. Access to this extensive resource requires a username and password, which can be obtained by contacting the Undergraduate Chemistry Society. The careers section of the Canadian Society for Chemistry may be useful. 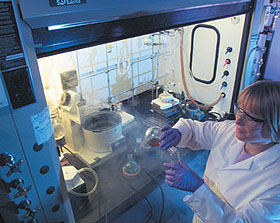 The American Chemistry Society also provides extensive information on a broad range of chemistry careers at www.acs.org/content/acs/en/careers/college-to-career/chemistry-careers.html.